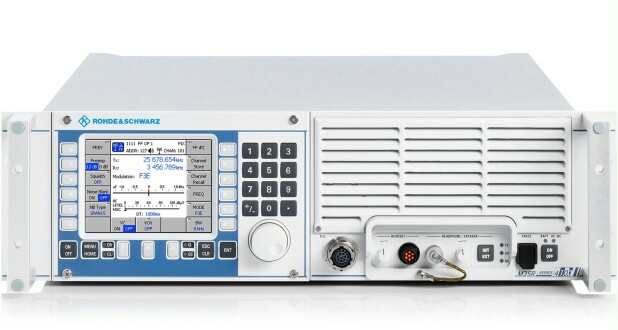 Rohde & Schwarz has developed a state-of-the-art generation of communications systems designed to take HF radio to the next level. 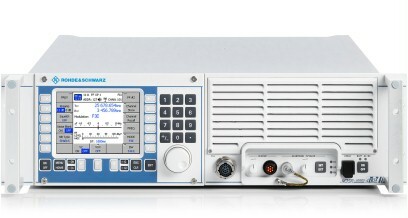 Rohde & Schwarz has developed a state-of-the-art generation of communications systems designed to take HF radio to the next level. Shortwave communications are a resource that can be set up easily, offer extreme reliability and are highly valued by security authorities and organizations as well as military users all over the world. The R&S®M3SR Series4100 HF radios are innovative, versatile software defined radios (SDR) that belong to the popular R&S®M3SR radio family. They support frequency hopping and provide interoperability with the R&S®M3TR family of tactical radios in all of the HF operating modes. Possible applications include typical navy applications on board ships and on shore, civil air traffic control, embassy radio systems and tactical applications. Software defined radios save on logistics effort and reduce operating costs. In particular, the costs of warehousing spare parts and of maintenance are reduced tremendously. Having fewer internal hardware components also helps to significantly boost the reliability compared to conventional radios. The R&S®M3SR Series4100 is a powerful radio platform that can be extended at any time. This helps to provide a safe, future-ready investment. Besides the existing HF House waveforms, the R&S®M3SR Series4100 will also support future waveforms that attain a suitable level of market acceptance and lead to international standards. A software update is all that is required. The radio already includes HF wideband functionality to establish long-range data links on a 24 kHz channel. The probability to obtain permanent high data rates can be increased thanks to a well-tuned and embedded radio HF wideband concept prepared for 48 kHz channels.